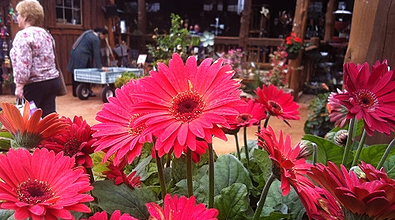 The Nursery at Wildseed Farms is one of the largest plant nurseries in Central Texas. 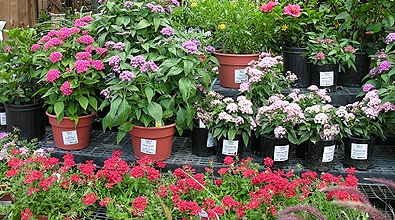 We offer a large selection of live plants (in-season) and gardening products. Our goal is to maintain the highest level of quality in our plants. 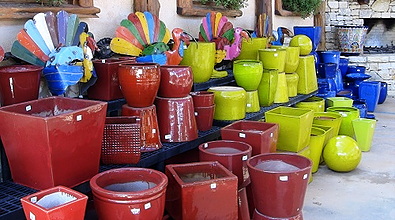 High quality glazed pottery can be found year around. lots of annuals, perennials, herbs, tropicals and cactus and succulents can be found year around at the Nursery at Wildseed Farms. 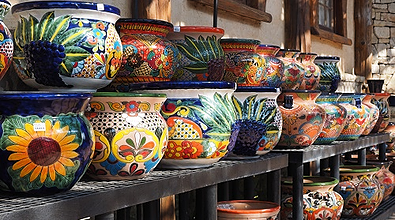 Handpainted Talavera pottery from Mexico.